Book now and get the best price for car rental Bahamas! 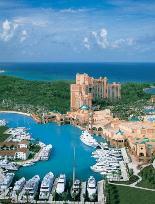 Car rental Bahamas is definitely the perfect way to see these magnificent places and experience the pleasant local life. Just fill the form to get the cheapest car hire deal chosen from all the leading car rental companies! The length of roads is 2.7 thousand km. Be ready for left-hand driving! Car rental Bahamas is possible with international driver's license, more than 1 year of driving experience and 21 years of age. Souvenirs – handmade rugs, straw hats, baskets, jewelry, carved wooden figures, guava jelly, a bottle of water from the fountain of youth, leather goods, perfume, batik, watches. Traditional Food – dishes of sea snails, spiny lobster, a dish of peas and rice, johnnycakes, turtle soup, guava pudding, Bahama Mama and Goombay Smash cocktails. Enjoy a perfect vacation with car rental Bahamas!